In my childhood days my teacher gave me assignments to write essays on various topic, in those days i am unable to frame a sentence and make it into meaning full para, One of my favourite sir said me and showed me how to write and asked me to practise it. 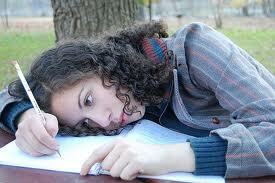 Essay writing is a skill that requires work and dedication. One factor to consider is syntax, which is the way words or phrases function in a sentence. By incorporating various clauses and sentence types, you can create a well-structured essay that is accessible and readable. Use adjective clauses to add description and information to the nouns in your writing. Here are some of the tips for writing essay. 1. First, you need to be able to identify an adjective clause. It will begin with a relative pronoun or adverb, followed by a subject and a verb. Relative pronouns are words such as who, whom, whose, that or which. Relative adverbs are words such as where, when and why. A way to identify adjective clauses is by doing the question test: How many? Which one? What kind? Whose relative pronoun. Dog subject Barked verb. Who relative pronoun functioning as a subject Laughed verb. I went to the sold-out comedy tour with my best friend Jacob, who laughed at every joke. She yelled at the man whose dog barked all night. 4. Sprinkle clauses throughout your writing. Avoid using the same sentence types back to back. So if you are writing a section of your essay that could use more description, you should add it.